What kind of assistive technology devices can Wilderness Discovery facilitate? Posted on March 13, 2019 | by akainula | Leave a Comment on What kind of assistive technology devices can Wilderness Discovery facilitate? Wilderness Discovery can provide bed lifts, as well as hospital beds as per request at no charge. We will also have staff on site that can be of assistance to you if need be. What is your policy on support persons? Posted on March 13, 2019 | by akainula | Leave a Comment on What is your policy on support persons? With each booking, Wilderness Discovery will pay for a total of 1 support person. Any subsequent support persons needed will be subject to a $25.00 fee. 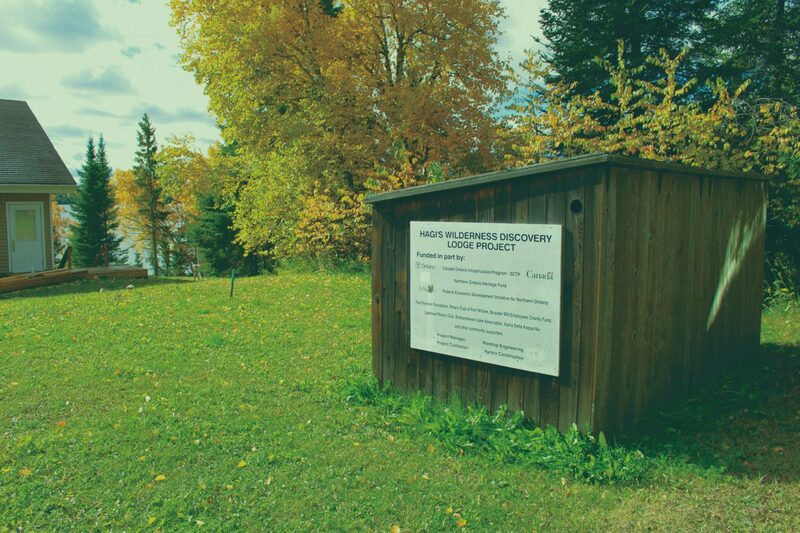 We are excited to announce that we now have a subsidy application for those individuals and families that require a little extra support with their trip out to Wilderness Discovery this year. We believe that everyone should be able to enjoy the benefits of a true Ontario camping experience. See below to find out if you are eligable for this great opportunity! IMPORTANT: If you are looking to use a PDF filler, try using Google Doc's Add-On "Docu-Sign", or PDFZorro. For more information please call: Terri at (807) 343-0414 Ext. 221. What are the catering policies? Posted on January 14, 2019 | by akainula | Leave a Comment on What are the catering policies? Caterers are only allowed as per request by a group. With this, the Main Lodge will be rented with the use of a caterer for a $400 rental fee. What if there is no caterer? Our Main Lodge rental without the use of a caterer is a $250 rental fee. What time is the equipment for activities available until? Posted on January 14, 2019 | by akainula | Leave a Comment on What time is the equipment for activities available until? Currently our facilitated activities run from 7:30am to 8:00pm daily. Supervised by on-site Manager or their designate. What is your minimum down payment? Posted on January 14, 2019 | by akainula | Leave a Comment on What is your minimum down payment? We have a minimum down payment of $200 that applies to all reservations. Posted on January 10, 2019 | by akainula | Leave a Comment on What is the cancellation policy? 30+ days prior to your stay, a full refund will be given. 14-29 days prior to your stay, a 50% refund will be given. 0-13 days prior to your stay, no refund will be given with ability to transfer registration to another available date. If we are able to fill a last minute booking change, a $10 administration fee will be charged and your booking will be moved accordingly. Posted on January 10, 2019 | by akainula | Leave a Comment on What is the pet policy? No pets allowed. However, if you require the use of a service animal please let us know and we will accomodate your request. Volunteers needed: The former Wilderness Discovery Handi-Capable Centre in Shebandowan is being upgraded in preparation for re-opening. The project is supported by local service clubs. Volunteer help is urgently required to complete the many tasks that have been identified. This work cannot be done without the assistance of dedicated volunteers and lots of them. A variety of skills are required. There is plenty of work for volunteers who can prepare cabins and work around the property, taking inventory, organizing shelving, ensuring the safety of others. There are also opportunities for those who can contribute skills in building projects and upgrading facilities. Come out for the day or stay overnight. The Camp is located at 53 Barred Owl road Lake Shebandowan. 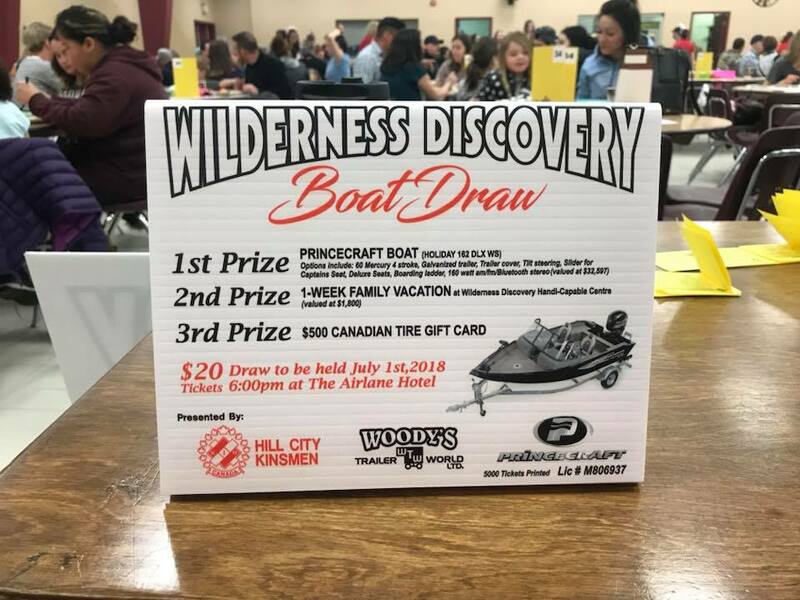 We are very excited to announce our Wilderness Discovery Boat Draw. Tickets are now on sale at: Jones & Associates Insurance, Sign Design Inc., Superior Coatings Thunder Bay, Hagi Community Service For Independence and many more locations around town. You can also call for tickets, we can process your payment over the phone. 766-2086. Thank you for your support.